New home construction can be a tough and stressful time in a homeowners life...but not with Area Energy and Electric, Inc. Our licensed, bonded and insured electricians work diligently to meet construction deadlines and pass inspection the first time, saving you time and money! 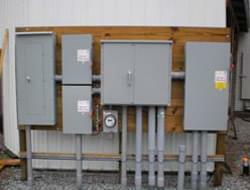 Install Manual generator transfer switch. 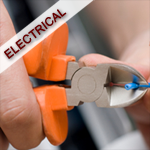 New or upgrade of electrical service. Misc. Small Electrical , replace or add lights, receptacles, switches. 24 hour emergency residential service.